Cameron Smith is building a space suit in his apartment. He’s not an astronaut. He’s not even an engineer. Cameron Smith is an archaeologist–on faculty in the anthropology department at Portland State University in Oregon. But Cameron is an explorer by nature. He’s been diving in Puget Sound, survived arctic winters in Iceland and Alaska and submitted Oregon’s Mount Hood more times than he can count. Now he wants to take on outer space. And since Cameron doesn’t have an entire space program behind him, that means doing it on the cheap. His homemade space suit costs $2,000. A standard issue suit from NASA runs about $12 million. The space suit has been a 3 years in the making. Eventually, Cameron will put on the suit and step into a gondola and a balloon (also homemade) will take him up 50,000 feet in the air. At that point, he’ll be depending on his own craftiness to keep himself alive. Cameron’s efforts are part of a whole Do-It-Yourself (DIY) space race that’s been popping up all over the world. Sure, there are commercial ventures like XCOR and Virgin Galactic creating their own space-bound hardware, offering flights starting at $95,000 and $250,000, respectively. But there are also people trying to make space travel available and affordable for more than just the very wealthy. Copenhagen Suborbitals is one member of this DIY space community. They build rockets and space capsules in an abandoned shipyard in Denmark. 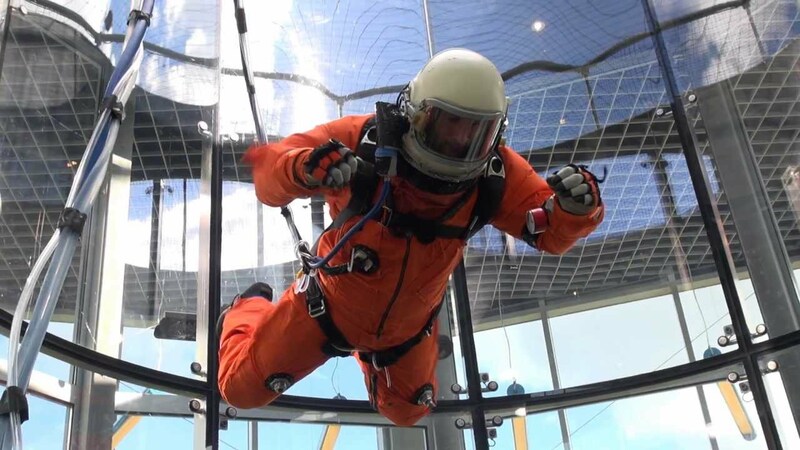 Copehnagen Suborbitals and Cameron Smith have been working together on the space suit project; Cameron may build suits for them to use once they’re ready to replace their crash-test dummy with a live human being. Follow their progress on their Wired Science blog Rocket Shop.